The Avenue is a 4-story low-rise apartment-style condominium building that was completed in 2006 and is conveniently located across from the NE LRT station and bus terminal. These popular one and two-bedroom corporate suites are frequently booked by individuals or families looking for a close commute to Fort Saskatchewan (which is a 25-minute drive), and Sherwood Park (which is a 20-minute drive). 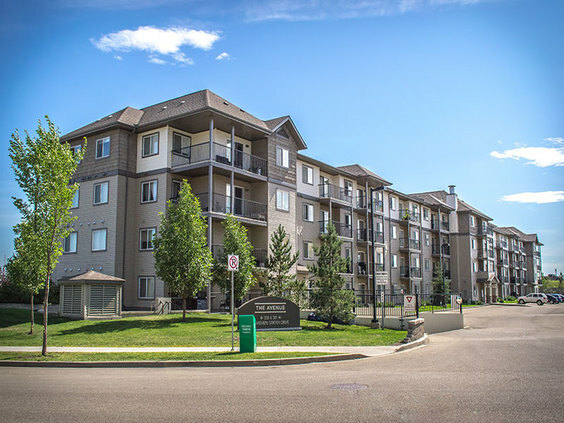 The building is situated just 2 minutes from the Yellowhead Trail, providing quick access to other major areas of the city; as well as Edmonton's ring road, the Anthony Henday. Drive less than 5 minutes down Manning Drive to find major shopping complexes which include Superstore grocery, gas stations, convenience stores, major banks, pharmacy, salons, restaurants, fast food and so much more.